RIYADH - Saudi Arabia will become a regional heavyweight in the Middle East's wind power market adding over 6GW in the next 10 years, according to new research by Wood Mackenzie Power & Renewables. The report – 'Middle East Wind Power Market Outlook, 2019-2028’ – said developers will build 6.2GW of wind capacity in the country or 46% of the region’s total wind capacity additions between 2019 and 2028. Wood Mackenzie Power & Renewables senior analyst Sohaib Malik said: “The integration of renewables in Vision 2030’s objectives underlines strong political commitment within Saudi Arabia. Saudi Arabia has set a 16GW target for wind by 2030 and 40GW for solar, Wood Mackenzie added. “Moving forward, the Renewable Energy Project Development Office will award 850MW of wind capacity in 2019, which is expected to be commissioned in 2021-2022, and increase the local content requirement in future tendering rounds,” Malik said. However, Saudi Arabia will fall short of its current 2030 renewables target, despite growth projections and regional leadership, the report said. Some 70% of the renewables capacity target is to be supported by the Public Investment Fund (PIF), the Saudi sovereign wealth fund, while the remaining capacity is to be awarded through REPDO. “REPDO, on the other hand, completed two renewables request for proposals after pre-developing the sites,” he said. PIF is estimated to have $230bn of assets – targeted to reach $2 trillion under Vision 2030 – driven by investments in a variety of sectors ranging from electric vehicles to public infrastructure, Wood Mackenzie said. “There is little doubt about the fund’s financial muscle, however, its past investment strategy focused on established firms in traditional industries,” Malik added. “Aspirations to develop a value chain for wind and PV technologies locally is a different ball game and requires the PIF to acquire new capabilities for effective oversight of these ventures,” he said. The report noted that regional volatility is expected to remain, with strong positive growth, driven by Jordan and Iran in 2018 expected to reverse in 2019. Post-2020 Wood Mackenzie Power & Renewables sees regional demand returning to steady growth. “In 2018, developers added 185MW and 63MW of wind capacity in Jordan and Iran, respectively, compared to 53MW of capacity across the entire region in 2017,” said Malik. 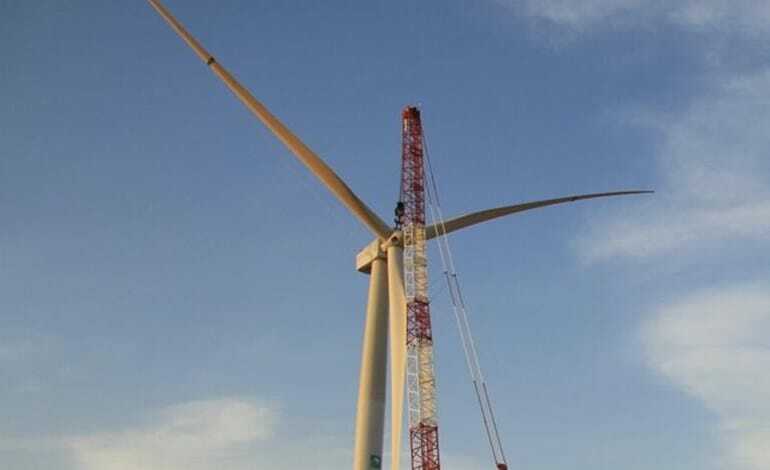 “The completion of the 89MW Al Fujeij and the 86MW Al Rajef projects in 2018 indicates that Jordan has 375MW of the region’s operational 675MW wind capacity. “Iran followed with 278MW of installed capacity at the end of 2018. A slowdown in 2019 is expected, as project development activity softens in Iran. He added that a maturing project pipeline in the region supports the 2020-2021 outlook. Wood Mackenzie Power & Renewables added that the outlook for solar in the region is “much more positive” than wind. “Compared to only 6GW of wind power capacity, developers will add 53GW of PV capacity through 2024,” said Malik. He added: “Solar PV has become a natural choice for many countries in the region, which is endowed with world class solar energy resources.